It’s Blanche! 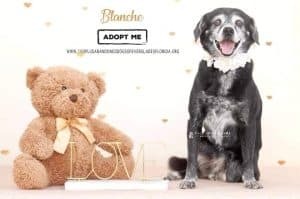 | 100+ Abandoned Dogs of Everglades Florida, Inc.
Blanche 7 years of age, is looking for her valentine and forever home! She is bilingual (Spanish/English), knows basic commands, and is potty trained! Her hobbies include walking & running, cuddling, and giving kisses 😘 💋She would be best as an only pet in a home of someone who is retired or works from home. A special thank you to Pao Paladini and her photography! It’s fabulous!